Today I'm going to share some of my favourite "proper" quilts (the type that hang on walls or go over beds) from the FoQ but firstly I want to say a big hello, "HELLO" and welcome to my new followers, it's great to have you along for the journey. 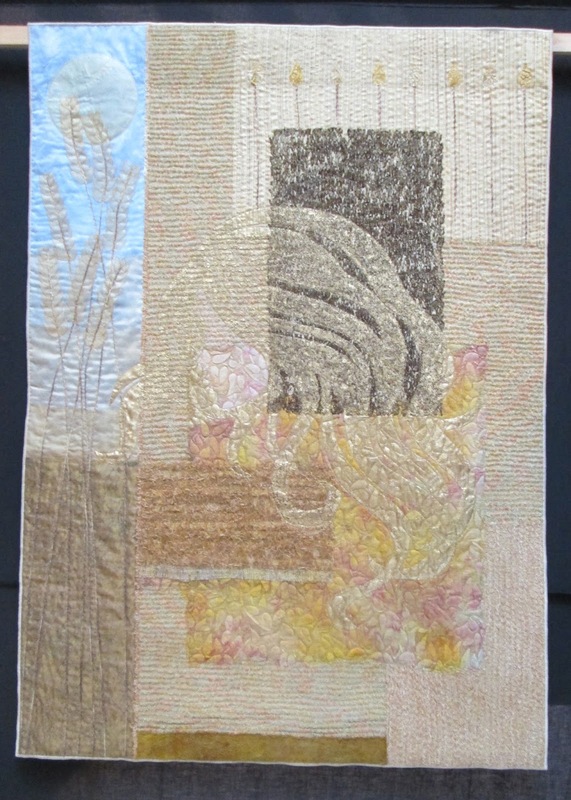 So much amazing stitching, not least Herma de Ruiter and Janie Harvey- Douglas. You can barely put a pin between any of these for the quality of the workmanship. Fabulous. Thank you for sharing such creative work. I bet you spent hours gazing at them all. Fabulous quilts, thanks Lis. I'm glad you caught up with Janine. She told me you two would meet. I can't wait to see her and Cynthia next year when we go to Laos, Cambodia and Thailand! 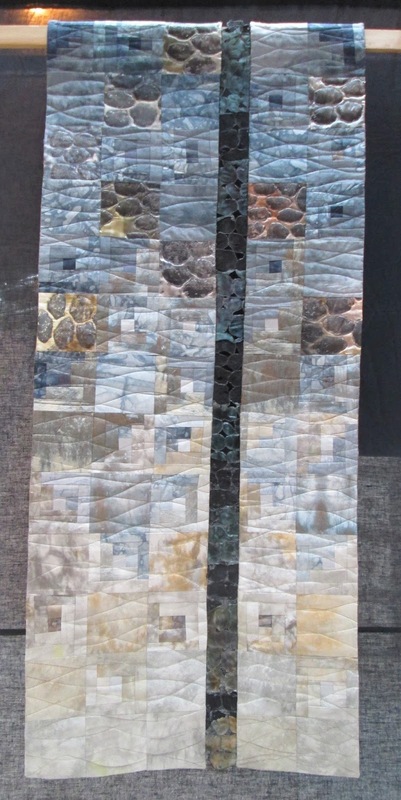 Some inspiring quilts here. Thanks for sharing. Like Beth I don't recall some of these. 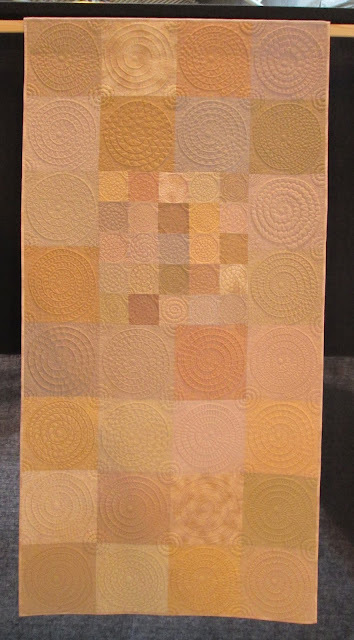 I am just amazed at the work that goes into quilts. I wish I could do such good work. I look forward to your next post. That was a good selection of 'proper' quilts. You have managed to photograph yellow quilts well. I did not!